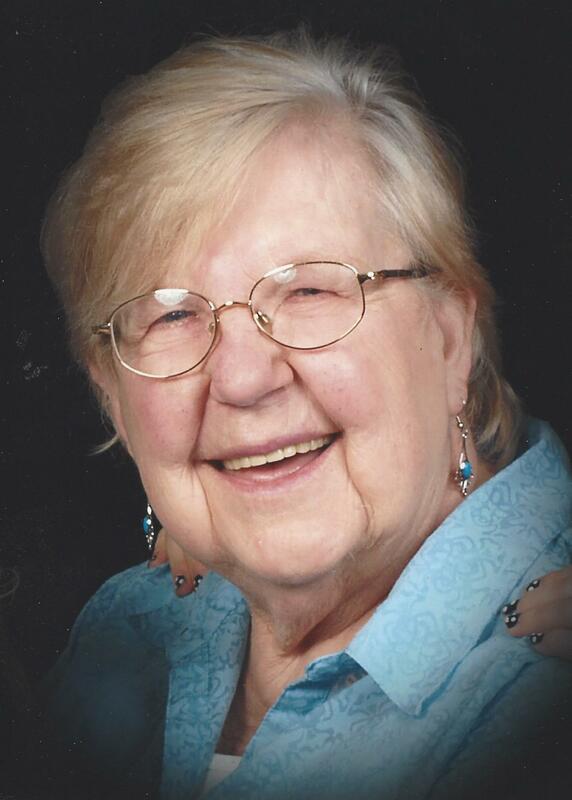 Dorothy Elizabeth Krapf, 92 of Middleburg, FL passed away Saturday, August 4, 2018. Dorothy was born in Jersey City, New Jersey. She worked at various businesses in New York when she was a young woman including the Prudential Company as a typist and later in life she worked at a department store, Epstein’s, in catalog sales at Sears and also in a bakery. She fell in love and married the late William Leslie Krapf on May 5, 1946. They were married a few months short of their 60th anniversary. She is survived by her four children, Darless & (Robert) Nagro of Kissimmee, Susan James of Deltona, David and (Patricia) Krapf of Kissimmee, and Mary Lynne and (Jay) Farnsworth of Middleburg, twelve grandchildren, 28 great grandchildren, one great, great granddaughter and her sister Catherine Wendt. Dorothy enjoyed crossword puzzles, spending time with her grandchildren and great grandchildren, dancing, singing, her family and God. This little church in Keystone was very important to her and William’s lives. Bill was at one point the treasurer and Dotty sang in the choir, this brought her a tremendous amount of joy. Dorothy was a true Christian woman, she never spoke bad about anyone, she always looked for the best in people and overlooked any faults they might have had and was loving and caring to her family and friends. She goes to heaven to be with her husband, William L. Krapf, mother Catherine Mae ‘Nana’ Swartz, her father Walter Edward ‘Pop Pop’ Swartz, her sister Lynda Kurtz and her brother Walter ‘Buddy’ Swartz. Funeral Services will be held Noon Wednesday, August 8, 2018 in Christ Evangelical Lutheran Church of Keystone Heights, FL with Rev. Paul Lemkey officiating. Burial will follow 12:30 PM Thursday, August 9, 2018 in Florida National Cemetery, Bushnell, FL. Visitations will be 5-7:00 PM Tuesday at the funeral home and 11:00 AM-Noon Wednesday at the church. I will miss you dear aunt dotty..i will miss all the notes cards and letters through the last 23 years you and mary lynne and jay sent me..you kept me from darkness and into the light.you were there for me when all left me in sorrow…..now you dear sweet aunt dotty are into the light of sweet jesus in heaven..MAY YOU REST IN PEACE YOUR JOB ON EARTH HAS ENDED..YOU ARE SAFELY HOME.